Want to show tenants how you rate as a landlord? The online landlord rating service CheckYourLandlord.com is now offering landlords the opportunity to show off their low-risk ratings. The new “Certified Property Verification Seal” from CheckYourLandlord.com provides renters with assurance that a rental property–and its owners have been independently investigated, reducing risks for both tenants and property managers. As homeowners have been turned into renters due to the housing crisis, the profile of the average U.S. tenant has shifted. Renters today are more likely to be older, have families, and often prefer single family or duplex/triplex style properties to large apartment complexes. The profile of the landlord has been shifting as well, with more “accidental landlords” entering the market with little or no experience as rental property owners, and without the financial backing of the typical multi-family dwelling investor. These shifts have brought new risks to the market. 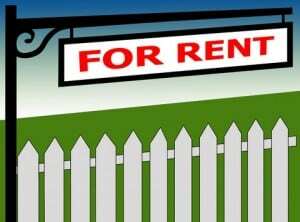 The increased demand for high quality rentals has brought an increase in reports of rental scams. Prospective tenants are rightfully concerned about the identity of the landlord or property manager showing them a property. Financially unstable property owners are often collecting rent while defaulting on their mortgage. When a tenant-occupied property enters foreclosure, difficulties ensue for the renter, property manager, and new owner. The CheckYourLandlord.com Certified Properties program was developed to address these market realities. Property managers and owners can apply to have their property certified through CheckYourLandlordPRO. The certification process involves verification of the legal ownership of the property, a check for notices of default against the property and other properties with common ownership, and a review of the owner’s bankruptcy history, past civil judgments, and criminal records. A property that passes CheckYourLandlord.com’s requirements to qualify as a “low risk” rental, earns the CheckYourLandlord.com Certified Properties seal. This seal can be used to enhance rental listings online and in print, attracting high quality tenants. A property-specific page on the CheckYourLandlord.com website allows the public to verify the authenticity of the seal. CheckYourLandlord.com was launched in 2011 to help renters avoid being victimized by rental scams and foreclosure evictions of renters. CheckYourLandlordPRO provides complementary services to the property management community.